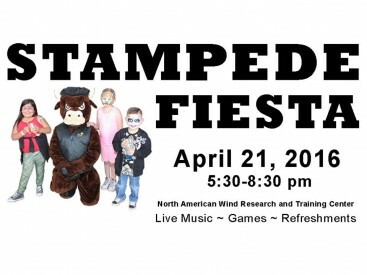 Mesalands Community College has combined the Cinco de Mayo Celebration festivities with the Mesalands Spring Rodeo (April 22-23) for one big community celebration “Stampede Fiesta.” This event is Thursday, April 21 from 5:30-8:30 pm and will be held at the North American Wind Research and Training Center. Come and enjoy the games, food, and live music. There will also be face painting, free popcorn, horse rides for the kids, lots of food, and many other activities for all ages. There is no gate charge, but participation in some of the games and activities will have a nominal charge. There will be a live performance by Ernestine Romero, who was the Female Vocalist of the Year and the Producer of the Year at the New Mexico Hispano Music Association Awards in 2012. There will also be a special performance by the Tucumcari Elementary School Orff Ensemble. For more information, call (575) 461-4413, ext. 138.